Driven by a legacy steeped in the expert understanding of plants and their benefits, our six naturally derived ranges offer well-being benefits for the mind and body that help you balance all you have to accomplish and elevate your everyday experiences: NEW Lavender and Espresso to calm, NEW Rosewater and Pink Peppercorn to hydrate, Citron and Coriander to energise, Pomegranate and Argan Oil to nourish, Pear and Pink Magnolia to uplift and Goatmilk and Oat to soothe. 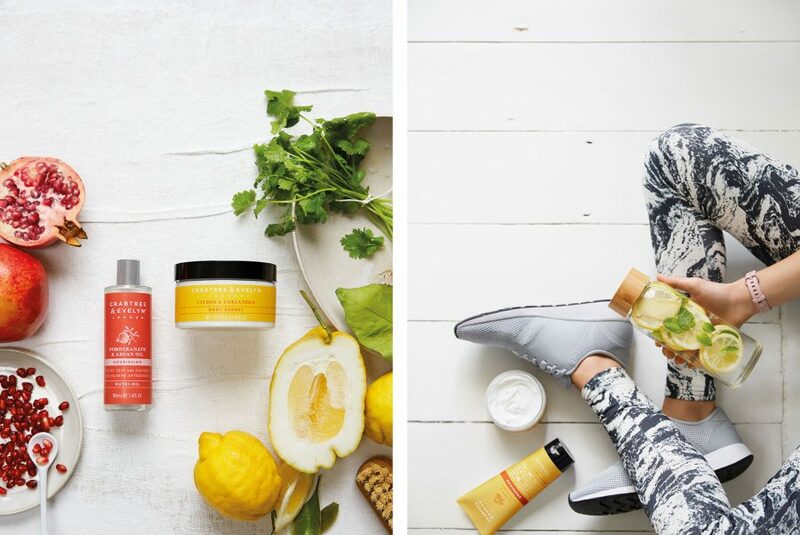 Inspired by our brand’s motto of “explore everything, keep the best”, each product is crafted with the highest-grade ingredients and fragrances gathered from around the world – think of it as superfood for your hands and body. Formulated without parabens, mineral oil, phthalates and propylene glycol, these unexpected combinations transform everyday routines into beneficial rituals that deliver what you need when you need it. Curating. Guiding. Enhancing. Fearlessly reinventing life. For over 45 years, Crabtree & Evelyn has searched the world for natural ingredients and fragrance journeys that enable our customers to live a life cultivated. We believe every experience has the opportunity to bring a shared joy – for you, your friends and family and your home. Our brand is inspired by the Crabapple Tree, the original species from which all cultivated apple trees have derived, and John Evelyn, the 17th century renaissance Englishman whose motto ‘Explore Everything. Keep The Best’ has provided inspiration from our founding to this day. Crabtree & Evelyn, Ltd. is available in more than 65 countries, with over 5,000 locations and 210 concept stores worldwide and at www.crabtree-evelyn.com.